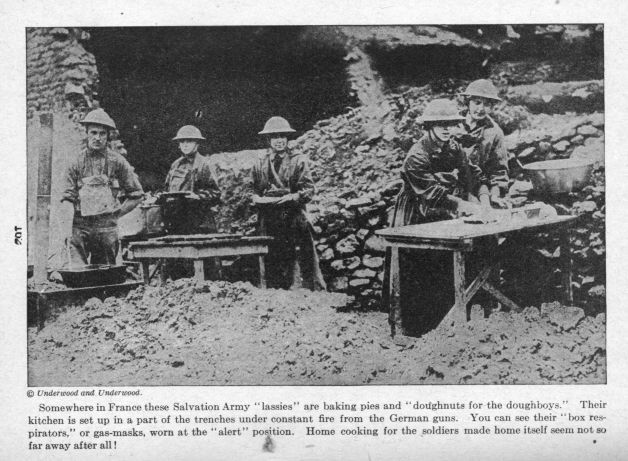 Somewhere in France these Salvation Army lassies are baking pies and doughnuts for the doughboys. Many women fought in World War 1. Somewhere in France these Salvation Army lassies are baking pies and doughnuts for the doughboys. Many women fought in World War 1. .